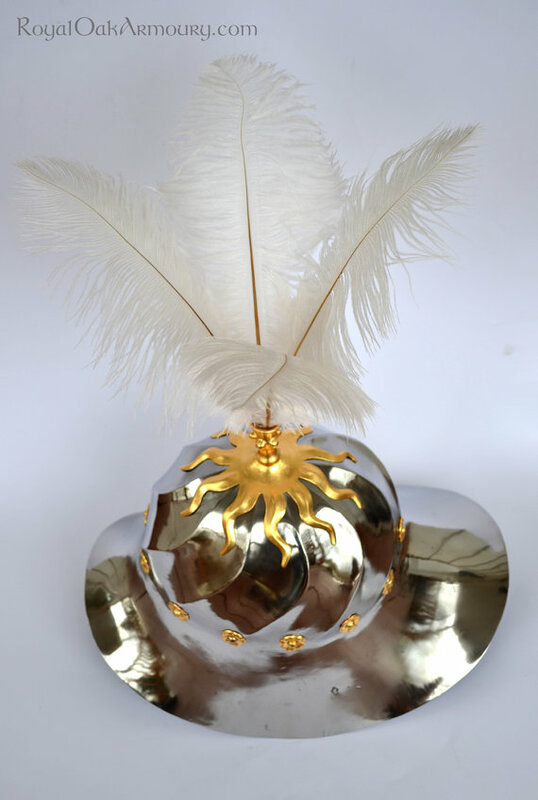 This helmet is a fusion of extent artifact and contemporary depiction. The skull of the helmet is a faithful replica of the famous fluted “war hat” in the Metropolitan Museum of Art, while the gilded liner rivets and plume holder are derived from Burgundian tapestries that clearly depict a variety of decorative features that have not survived. 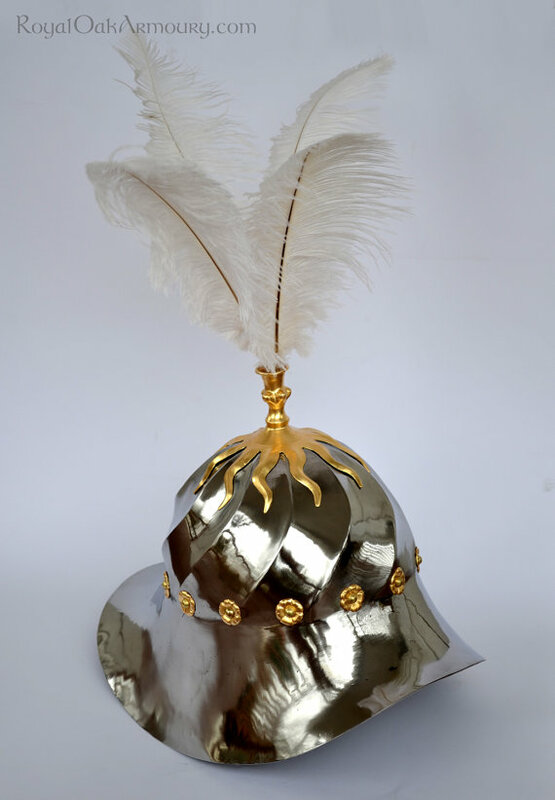 The construction of helmet (as shown) is hot-raised from 13 gauge spring steel, a considerable technical feat. 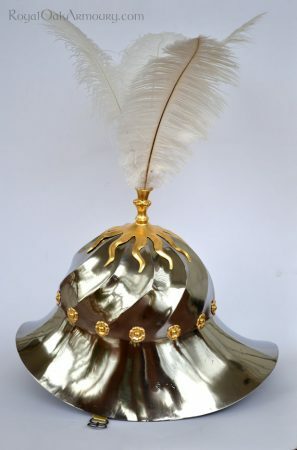 The plume holder is raised from copper and gilded, and the liner rivets are capped with brass, and fitted with decorative rosettes, all of which is gilded. The helmet is supplied with a relatively simple ostrich plume, as seen in the tapestries. 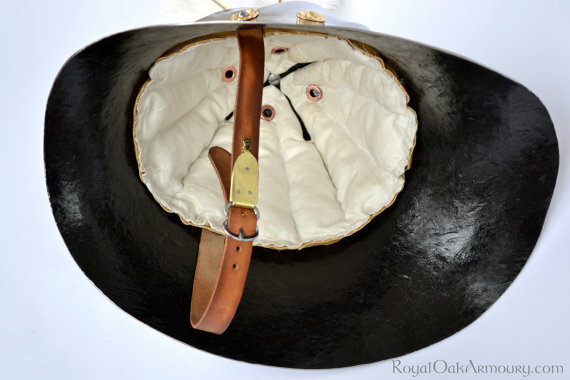 Lined in hand-stitched, padded linen. Less authentic, alternative forms of construction could make this helmet considerably less expensive. 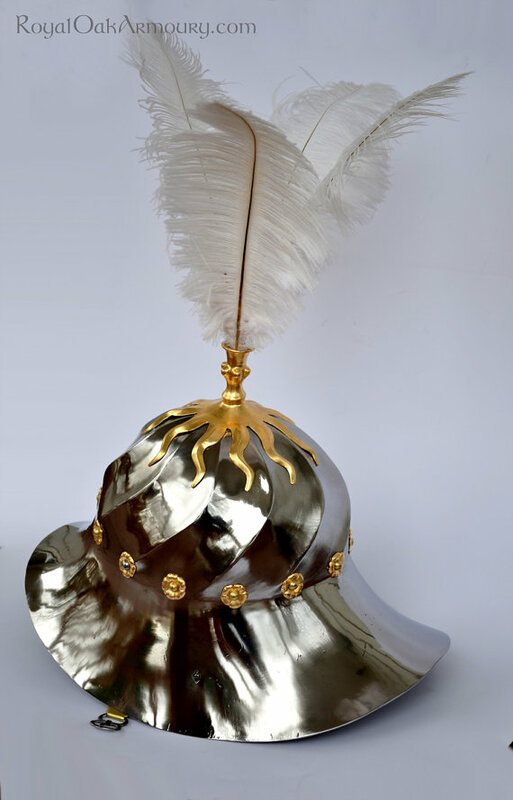 Contact us if you have any questions about this helmet, or to discuss a custom commission.